When is the best time for Kings to move their veterans? Curtis Zupke of the LA Times: It might make more sense for the Los Angeles Kings to move some of their veteran players this offseason. TSNs Darren Dreger said that the Kings will likely make their bigger trade in the in offseason opposed to the deadline. Blake said they are looking for deals like the Jake Muzzin one – draft picks and prospects. It’s hard to trade a goaltender like Jonathan Quick in-season. Chris Nichols of Nichols on Hockey: Elliotte Friedman was on Sportsnet 960 talking about the Buffalo Sabres and pending UFA Jeff Skinner. Friedman thinks the Sabres would keep Skinner past the deadline even if they don’t have an extension in place. “I think it’s a big number. It’s probably similar to Duchene, the rumors that were out there. 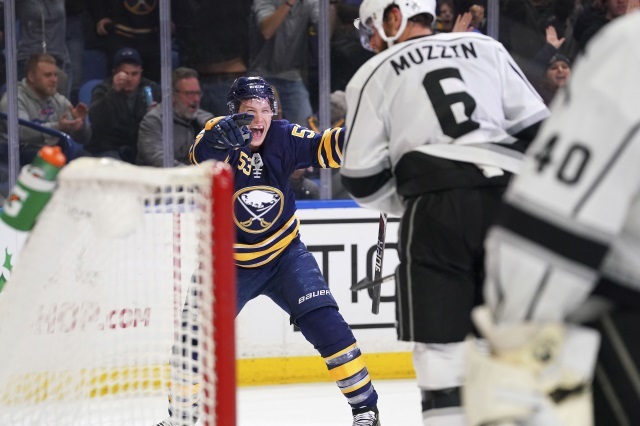 But I could see the Sabres saying, ‘Okay, we’re going to take our chances with this.’ Because they do have the one advantage, they can always give him the extra year.